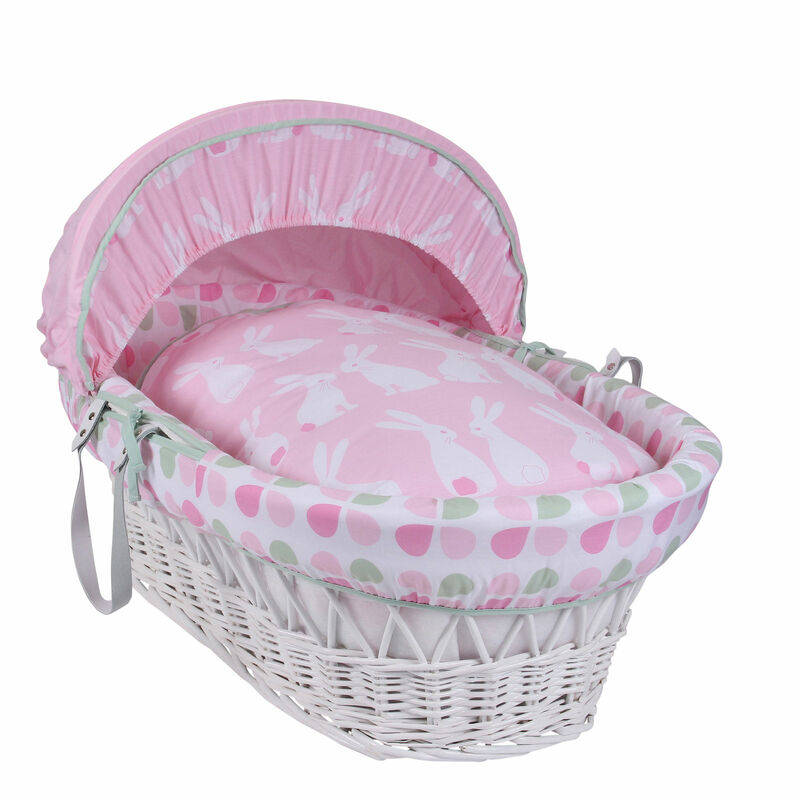 This beautiful white wicker moses basket by Clair De Lune creates a safe and secure sleeping environment for your baby. 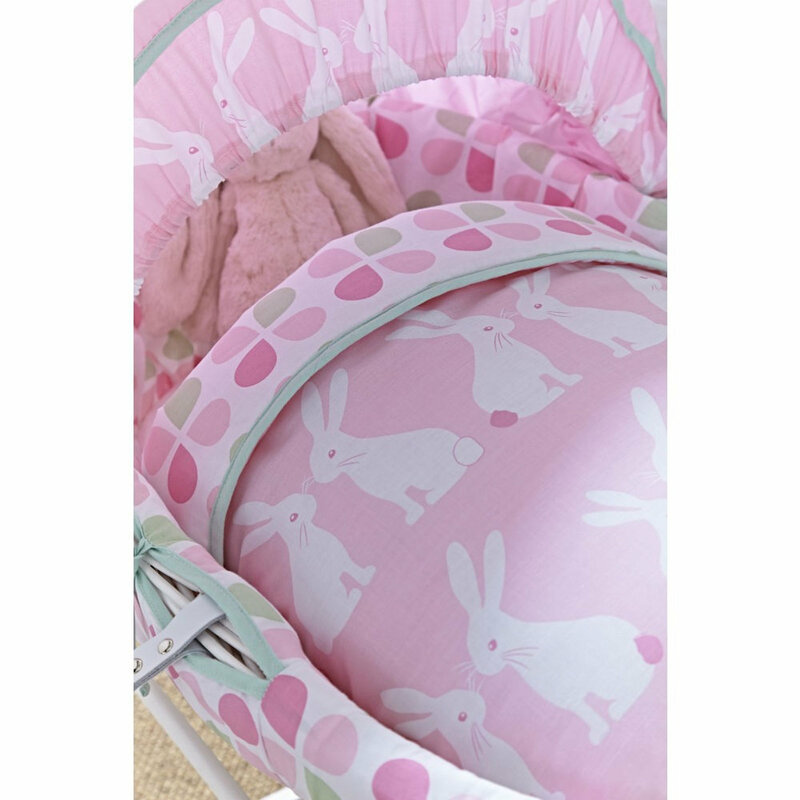 Complete with safety mattress, liner and an adjustable/removable hood this features adorable white rabbits on a beautiful pink background. The reverse is lined beautifully with a petal design in shades of pink and mint green. 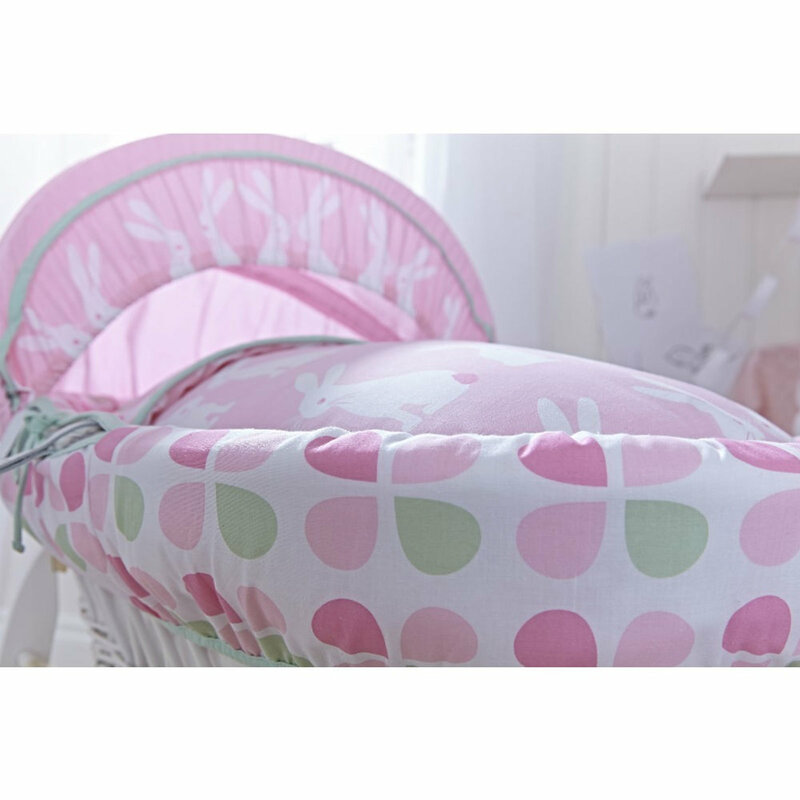 The bedding is finished perfectly in a contrasting mint green trim, perfect for your little princess. 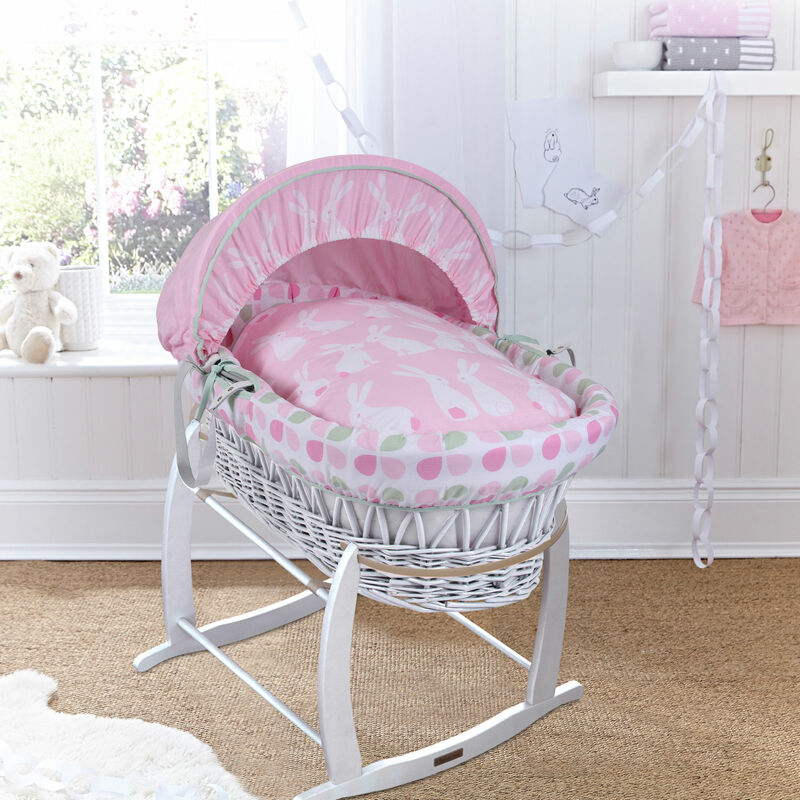 Included is the top quality pine rocking stand, which has been designed to soothe baby to sleep with a gentle side-to-side rocking motion. The stand is both safe and sturdy, raises the basket up to a more manageable height and can be made stationary if required by use of the clever ‘stopper discs’.